Susana Martinez and the curse of Sarah Palin. 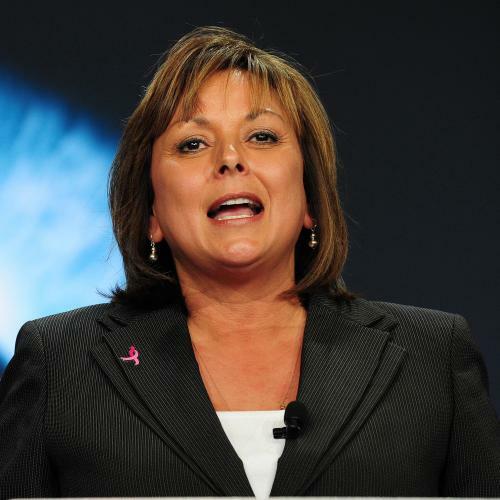 In May 2010, Susana Martinez was running neck and neck in the Republican primary for the New Mexico governor’s race. Her opponent, Allen Weh, a former chairman of the New Mexico Republican Party, had poured hundreds of thousands of dollars of his own money into his campaign. Martinez, a district attorney, was fighting to close the gap. Then Sarah Palin came to town. On May 16, Palin, whose star power was at its peak, appeared before a standing-room-only crowd in Albuquerque’s Marriott hotel, clad in a black leather jacket, and enveloped Martinez in a hug. “I’ll tell you what, New Mexico, you have a winner here, in someone who is proudly pro-life, pro-Second Amendment, pro-family, pro-fiscal conservative, anti-tax, anti-big government!” she cried. A top Republican strategist familiar with the race says that, in internal tracking polls, Martinez got “an eight or nine percent bounce” after Palin’s endorsement. “It was a total game changer,” he says. Martinez went on to win the primary and then the general election. Now, when Republican insiders are asked about possible vice presidential candidates, she is often high on the list. As GOP strategist Mark McKinnon wrote to me in an e-mail: “She checks so many boxes Republicans need. Hispanic. Female. Young. From a swing state. She won in a state where Republicans are outnumbered 3-to-1. High approval ratings. Charismatic former district attorney. What’s not to like?” She also happens to be handy with a gun: A YouTube video shows her briskly firing at targets in the desert, hitting nearly every one on the first try. On the surface, at least, Republicans couldn’t have done better if they’d manufactured a vice presidential pick in a lab. MARTINEZ WAS BORN IN the Rio Grande Valley in Texas, the daughter of a deputy sheriff. When I asked her brother, Jacob, about her childhood, the first word out of his mouth was “bossy.” In a phone interview, Martinez told me her parents got by “paycheck to paycheck” but managed to start a small security guard business. Martinez graduated near the top of her high school class then earned a criminal justice degree, working part-time for her parents as a security guard. She went on to law school and, while working for an El Paso judge one summer, witnessed a grisly trial of a man accused of murdering his pregnant wife in front of his young sons. Martinez remembers “looking at the defense attorney and wondering, ‘How can you sit next to this monster?’” She told me that was when she decided to become a prosecutor. After graduating, Martinez worked for the next 25 years in the prosecutor’s office in Las Cruces, New Mexico, eventually becoming district attorney. Her successor, Amy Orlando, who worked under Martinez for many years, recalls struggling to coax testimony out of a four-year-old boy with a speech impediment who had been molested by his uncle. She called Martinez and watched her in awe as she colored with the little boy—patiently questioning until she gently teased it out of him. But Martinez was also known as a tough character. “She had a very strong reputation in terms of prosecuting aggressively,” says Las Cruces State Representative Terry McMillan, a Martinez supporter. After Martinez announced her run for governor in 2009, she quickly attracted national support. The Washington Post later reported that the Republican Governors Association “helped steer hundreds of thousands of dollars to her campaign,” and arranged Palin’s endorsement. One reason for the establishment’s enthusiasm is Martinez’s appeal to Hispanics. She won nearly 40 percent of the Hispanic vote, while statewide Republicans typically average only 25 percent, according to New Mexico pollster Brian Sanderoff. “She brings a lot to the table and more than just her heritage, but that is clearly also a piece of it,” says former Senator Norm Coleman. But Republican insiders are also excited because Martinez commands high approval ratings in a Democratic-leaning state while pursuing an unabashedly conservative agenda. She has pushed to prevent undocumented immigrants from obtaining drivers’ licenses in New Mexico and has been lukewarm toward the DREAM Act, which would provide residency for some immigrants brought here illegally as children. Like most potential vice presidential picks, Martinez is playing coy, and she assured me that she plans to focus on New Mexico for the foreseeable future. But, even if she wanted to be on the ticket, there’s one big catch. Ironically, it has to do with the woman who helped propel her onto the national stage: Sarah Palin. Eliza Gray is an assistant editor at The New Republic. This article appeared in the February 16, 2012 edition of the magazine.